Fri., 30 Aug. - Thu., 5 Sep. Sat., 28 Sep. - Sun., 6 Oct.
Fri., 11 Oct. - Sat., 19 Oct.
Wed., 4 Dec. - Tue., 17 Dec.
With easy access to Interstate 405, the Hotel Irvine Jamboree Center sits among corporate offices 2 miles from John Wayne/Orange County Airport and South Coast Plaza; UC Irvine is 3 miles away. 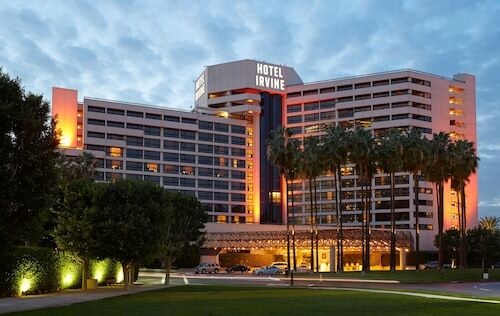 Situated in Irvine, this hotel is 0.3 mi (0.5 km) from Irvine Museum and within 3 mi (5 km) of University of California-Irvine and Segerstrom Center for the Arts. Boomers and Bren Events Center are also within 3 mi (5 km). 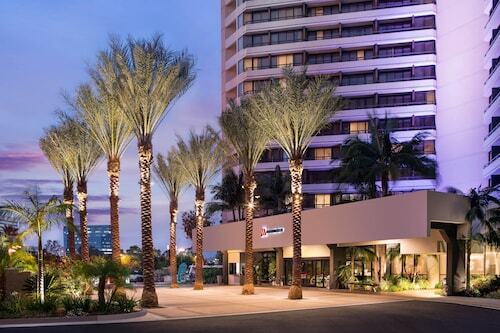 Just 1 mile from John Wayne Airport via complimentary Town Car shuttle and 5 miles from Newport Beach harbor, Renaissance Newport Beach Hotel is in the heart of Orange County, with complimentary shopping shuttles. Located in heart of the Irvine business corridor, Atrium Hotel is across from John Wayne Airport and 2 miles from both South Coast Plaza Mall and the Orange County Performing Arts Center. 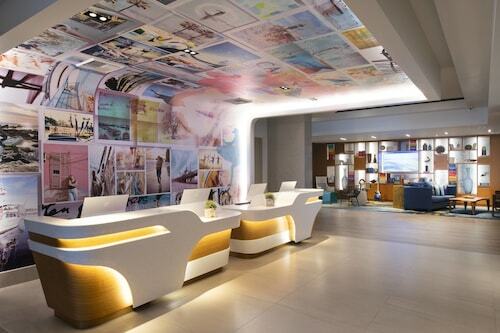 This centrally located Orange County hotel is 1 block from John Wayne Airport via complimentary shuttle and 5 miles from Newport Beach; Fashion Island shopping is 4 miles away. Situated near the airport, this hotel is 3 mi (4.9 km) from University of California-Irvine and within 6 mi (10 km) of South Coast Plaza and Orange County Fairgrounds. Santa Ana Zoo and Irvine Spectrum Center are also within 9 mi (15 km). With easy access to Interstate 405, Embassy Suites by Hilton Irvine-Orange County Airport is central to corporate offices, regional sports facilities, and 1 mile from Orange County Airport. Local attractions include UC Irvine (3 miles), Newport Beach (7 miles) and Disneyland® Park (13 miles). Question : What is the cheapest date to fly to Santa Ana? Answer : Apr 20th has bookings (as of Apr 15th) for as little as $313. That comes in 21% below the average price. Saving on flight costs means you'll have more moolah to spend on your trip. Answer : The cheapest day to fly from Victoria to Santa Ana is on Tuesday. So, if you would like to save a bit of cash on your next holiday look for flights on Tuesday. Question : How much is a plane ticket to Santa Ana (SNA) from Victoria (YYJ)? Answer : Cost can range from $305 to $538, prices for YYJ to SNA fluctuate less than most routes from Canada. Prices tend to be better the further out you book. Answer : You sure can and you may save by doing it. The cheapest day to fly in April is Tuesday. If you can go with the flow, you may just find that you can pocket some additional money that you can use for future trips. Question : How much time do people spend in Santa Ana? Answer : The average time spent in Santa Ana by travellers from Victoria is 10 days. Question : What is the cheapest airline flying from Victoria to Santa Ana? Answer : WestJet is offering the best deal at $305. Better book fast because prices range all the way up to $538 over the next three months.